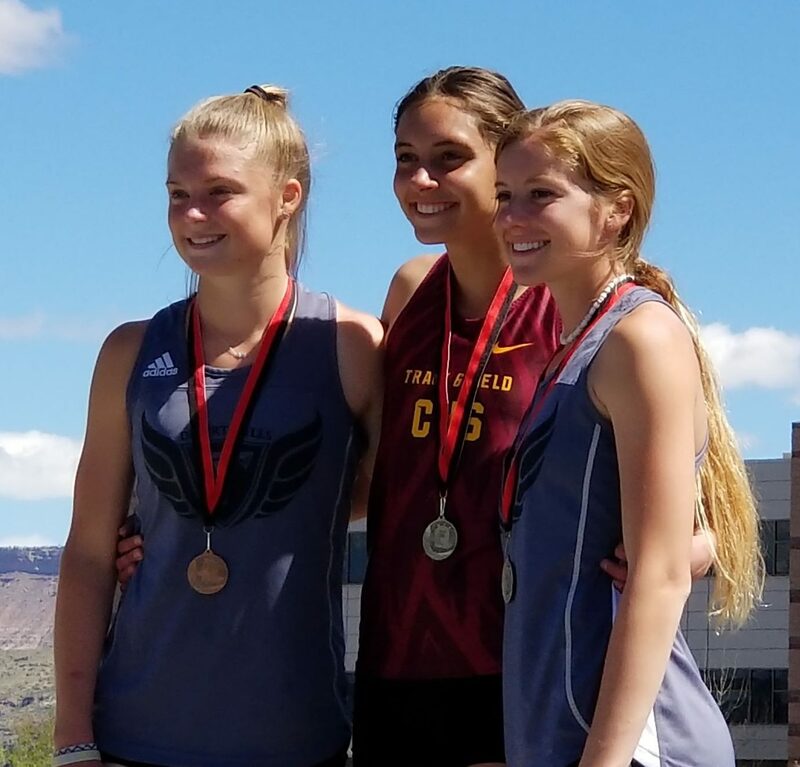 CEDAR CITY — With senior sprinter Jasie York turning in a stellar performance, the Cedar Lady Reds overtook Desert Hills to win the Hurricane Valley Rotary Invitational last Friday and Saturday. The boys meet was even closer, with host team Hurricane edging Desert Hills by a single point for first place in the team standings. York, who has committed to run for the University of Utah next year, won both the 100-meter and 200-meter races at Hurricane. Her time of 25.52 seconds in the 200 is the fastest in the state among all classifications so far this year. She won the 100-meter dash in a personal-best time of 12.70 seconds, which is also the sixth fastest time in the state this season. The 20 points York earned by winning her two individual events helped push Cedar to the top of the team standings for the meet. The Lady Reds finished with 104.5 points, while runner-up Desert Hills totaled 97. Pine View was third with 69 and Hurricane finished fourth with 59. A total of 16 schools competed in the event. See the listing of the top 10 teams below, and click here for complete meet results. In the boys meet, Hurricane finished with 83.5 points to take first place as a team, while runner-up Desert Hills had 82.5 and third-place Cedar ended up with 82. Cedar picked up eight points in the last race of the day, when the Redmen finished second to Snow Canyon in the 4×400 meter relay. However, it wasn’t enough for the Redmen to overtake Hurricane nor Desert Hills, neither of whose main relay teams competed in that final race. Turning in strong performances for Hurricane were the Armnstrong brothers, with senior Caleb Armstrong taking second in the 3,200-meter run and sophomore Josh Armstrong placing fourth. Additionally, Caleb took second in the 1,600-meter race, and Josh placed third in the 800 meters. The duo accounted for 27 of Hurricane’s team points. Click here for complete meet results. This week’s scheduled region meet is at Desert Hills on Friday and Saturday.